“The mysterious new car company making big promises” is something we’ve heard many times before with no result, but this particular new company is making big hires and even bigger commitments, including a brand new billion dollar factory. The Verge’s Tamara Warren sat down with Faraday Future’s Senior Vice President and co-founder Nick Sampson, who worked with Tesla early in its successes, to discuss his secretive emerging company which has hired 400 workers in just a year from all corners of the technology and engineering industries, as well as BMW and Tesla. In the video interview, Sampson gives a little more detail of the company’s vision of the future for the automobile which will likely be electric and autonomous. That’s pretty much the standard industry approach so far, with Tesla making the first big leap into electric cars with usable auto-pilot technologies just last month. 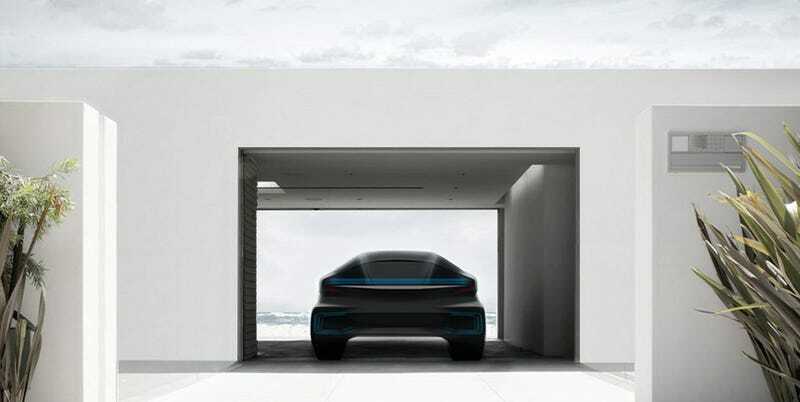 But where Faraday wants to move ahead is a more connected relationship between the car and passenger. Sampson suggests that the car should not only navigate itself, but also learn about the passenger. Through connections with a passenger’s smartphone, or just analyzing habits itself through the passenger’s common destinations, the car should be able to learn and even suggest restaurants, shops, and other destinations. Sampson also suggests that this could expand into music tastes, with the car learning what type of music each passenger prefers, and if multiple passengers are sharing a ride, it will play music of common interest with no input necessary. That all sounds very cool, but undoubtedly unsettling for those of us who still have rules about who can touch our radio. The company is also suggesting that there is a consumer base for people who would like to not own a vehicle. It would seem Faraday has plans to develop ride-sharing or autonomous taxi-like vehicles that can be requested. They also suggest that the car can learn a passenger’s schedule for work or other activities, and simply arrive based around a person’s planner. This is a concept that is also being worked out with a fleet approach by Mercedes and BMW. The video finishes with Sampson saying Faraday will have cars on the road by 2020, and we can probably expect greater detail of just exactly what the company is up to next year. They are scheduled to take part in January’s CES trade show. At this point, with them keeping the car covered in the video and never really opening up with specifics, it’s still a “I’ll believe it when I see it” moment. However, the company is making a billion-dollar gamble on a brand new factory, and with the people they’ve managed to pull from the best of the aerospace, tech, and automotive industry, they may actually have something. It’s a great interview with a good look at the earlier stages of an emerging car company, and be sure to read Warren’s full write-up over on The Verge.